Layer after layer of perspiration was accumulating on every Nigeria fan's skin. Placid, well-reasoned Nigerian journalists were banging desks with malevolent intent in the Rustenberg press box. 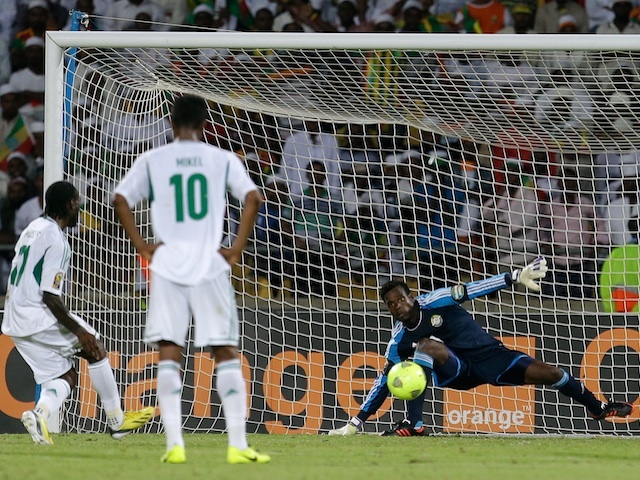 Ten minutes remained on the clock and a winning goal for Nigeria was nowhere in sight. If the outcome was a draw or a loss, Nigeria would be heading out of Afcon 2013. A social media maelstrom was imminent. Going into the game, Stephen Keshi had the miserable record of eight Afcon matches without win on his back, all whilst managing some decent sides – Togo, Mali and Nigeria. The game, against Ethiopia in the final group stage matchday of this year’s Cup of Nations, proved to be, inadvertently, the confidence-builder for Nigeria to go on their tournament triumph. After drawing their first two games against Burkina Faso and Zambia, it was a must-win game for the Super Eagles. Eventually, it took two late penalties by Victor Moses to part the sea and seal their path to the knockout stages. Qualifying as runners-up, the unconvincing nature of the performances added with the fact they had to face tournament favourites Ivory Coast, who were on a 26-match unbeaten run stretching back to November 2010, played a huge part in lowering the expectations jettisoned on the team’s shoulders by Africa’s largest population. The rest is history. Ethiopia will hope to use their slick, unique brand of football and the high altitude of Addis Ababa to overcome the African champions’ menacing agglomeration of brawn and technique. Although naiveté was rife during their Cup of Nations campaign earlier this year, the Walia Antelopes have faced Nigeria enough times in recent years to have honed their game intelligence. Keeping Nigeria at bay for 80 minutes, not to mention the commendable tournament experience, has gone some way to dilute their fresh-off-the-boat mannerisms that can arise in their defence. “We have played against Nigeria many times,” Ethiopia’s coach, Sewnet Bishaw, told the press earlier this week. “Even though Nigeria is a big nation, a big country with huge, skillful and professional players, we’ve become very strong in the past few years.” In qualification for the 2012 Afcon, they were four minutes away from beating them in Addis Ababa until a Joseph Yobo equaliser made the score 2-2. The Super Eagles haven’t been entirely convincing since being crowned African champions in Johannesburg. Goals and that creative spark from those behind the strikers have both been irregular. It took the final matchday for them to see off a dogged Malawi side and book their place in the play-offs. In the previous meeting, it required the pizzazz of Victor Moses to unlock a stubborn Ethiopia defence, and he may very well need to be on the top of his game again. Although goal machine Getaneh Kebedeh is missing through injury for Ethiopia, caution is advised. Ethiopia have a growing dossier of giant-slaying – South Africa and Sudan have both been seen off in the past year, with Saladin Said playing the starring role. They may have a porous defence but they’re also more than capable of scoring. Throw in that they have nothing to lose and a well-wishing, exultant nation behind them, and you never know what may happen.